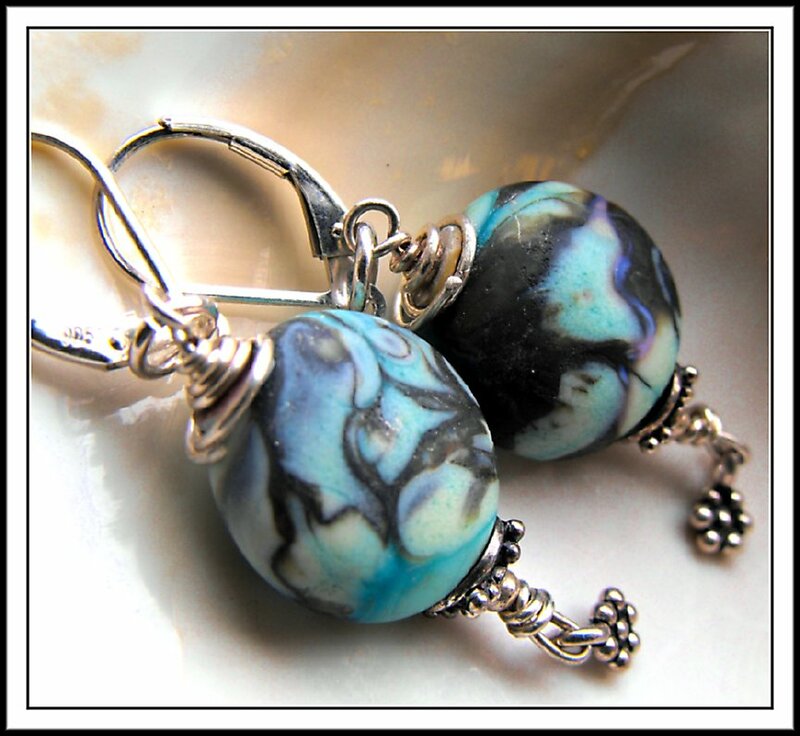 has been crafted with my own lampwork glass beads. 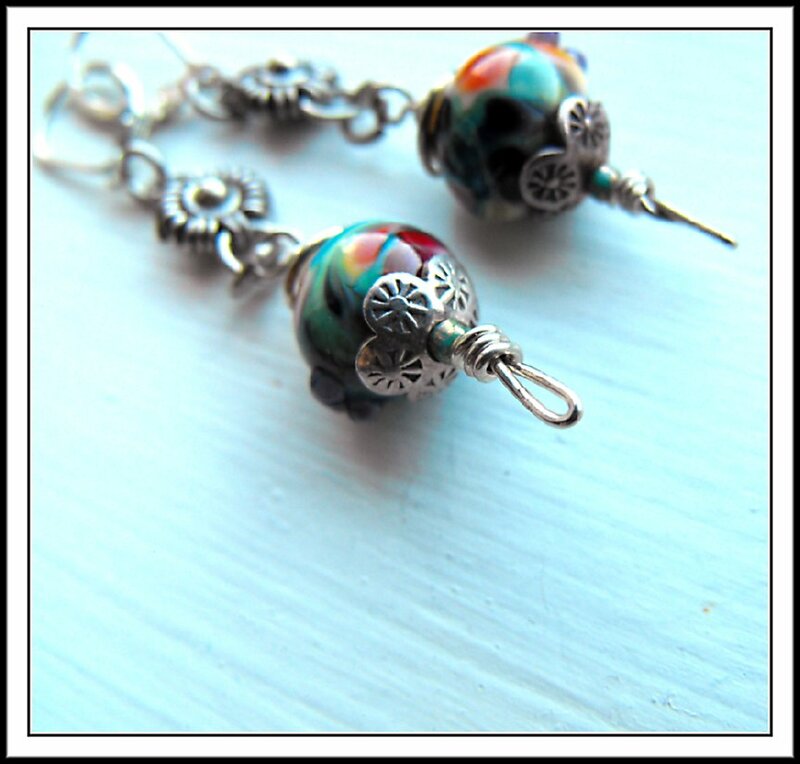 Each bead is individually unique and one of a kind. 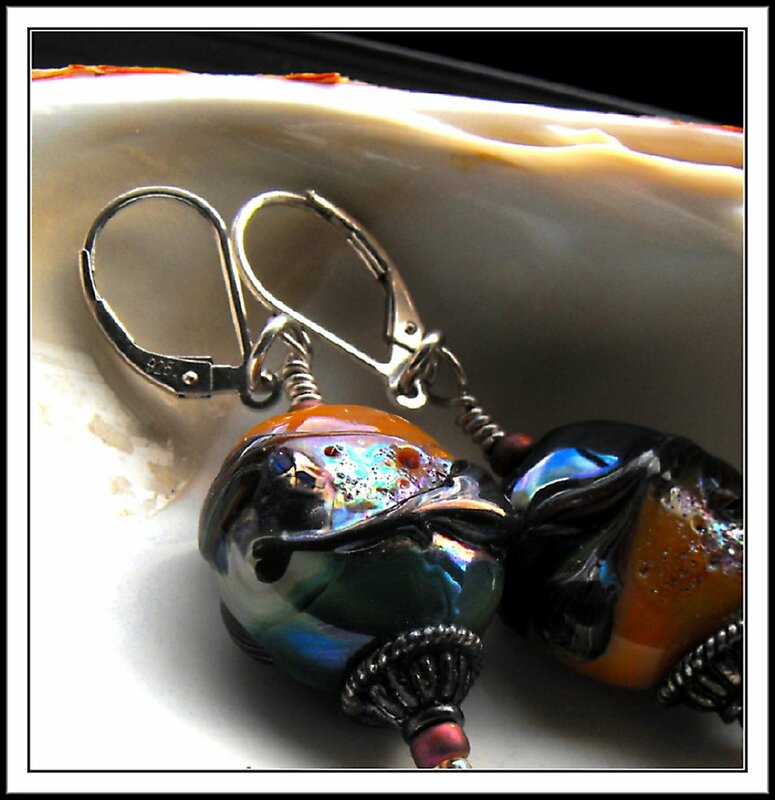 Due to the nature of glass there are no two beads that are exactly alike. Therein lies the pleasure of glass. All components and ear wires are sterling silver. viewed here at my Etsy shop. 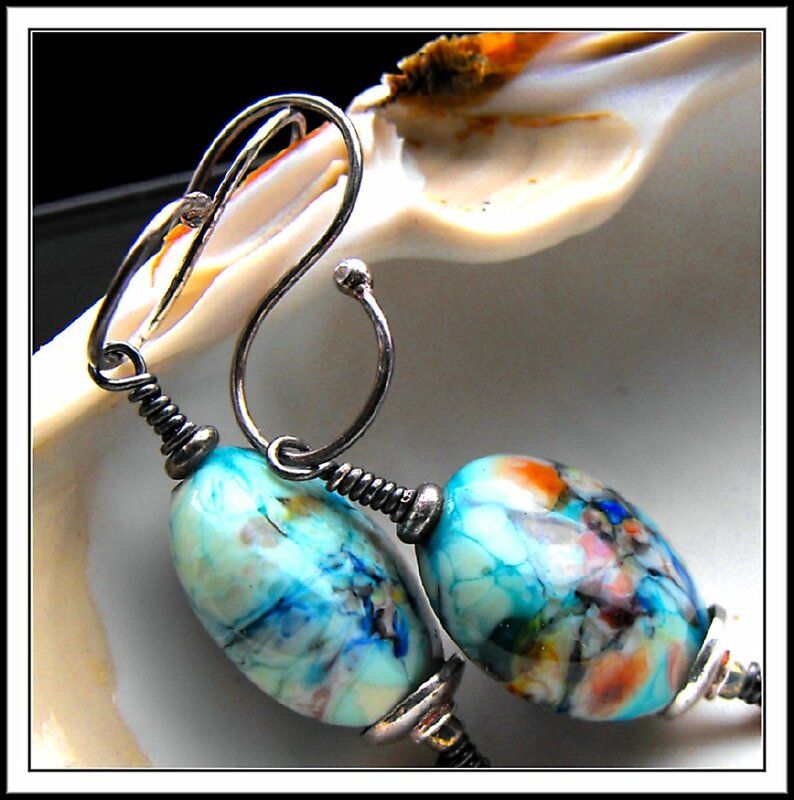 § One Response to >Artisan made Lampwork earrings..
You are currently reading >Artisan made Lampwork earrings.. at fireandglass.